It’s official: Global media giant News Corp. now owns realtor.com operator Move Inc., with the $950 million deal closing today. News Corp. owns media outlets around the world including The Wall Street Journal, Barron’s, HarperCollins Publishers and London-based The Times. Those assets are expected to expand realtor.com’s reach in ways that haven’t been detailed yet. Screen shot from Move Inc. investor presentation. 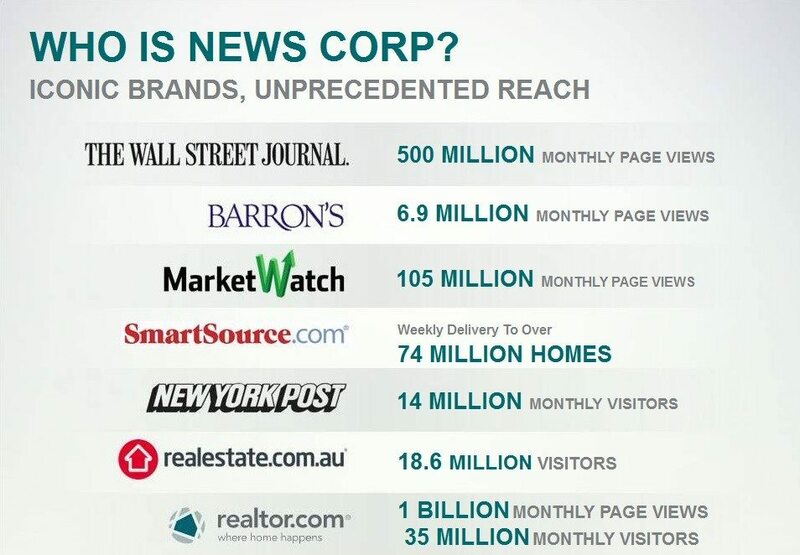 News Corp. also gives realtor.com the resources of a $8.7 billion company to compete with Zillow, which has been pulling away from the pack in terms of both revenue and Web traffic share, and is on the verge of acquiring rival of Trulia. “In partnership with the National Association of Realtors and its 1 million members, we look forward to turbocharging realtor.com and making it the most popular and profitable property site in America,” said Robert Thomson, CEO of News Corp., in a statement. Move’s exclusive agreement with the National Association of Realtors to operate realtor.com remains in place, as do the direct listing feeds the portal receives from more than 800 multiple listing services across the U.S.
Move also sought to deflect speculation that the deal was driven by Zillow’s plans to acquire Trulia. 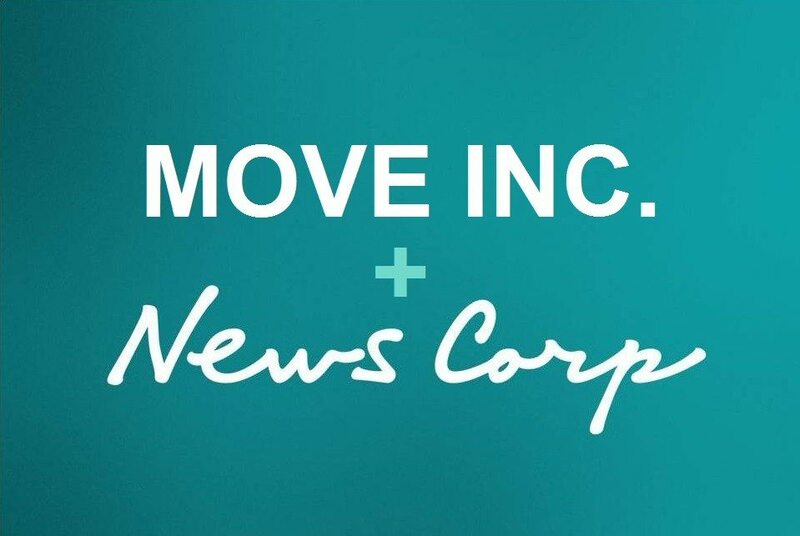 News Corp.’s acquisition of Move, in contrast, combines “the power of two distinct, but highly complementary platforms and audiences results in a multiplier effect — versus a purely additive effect,” Move’s talking points claim. 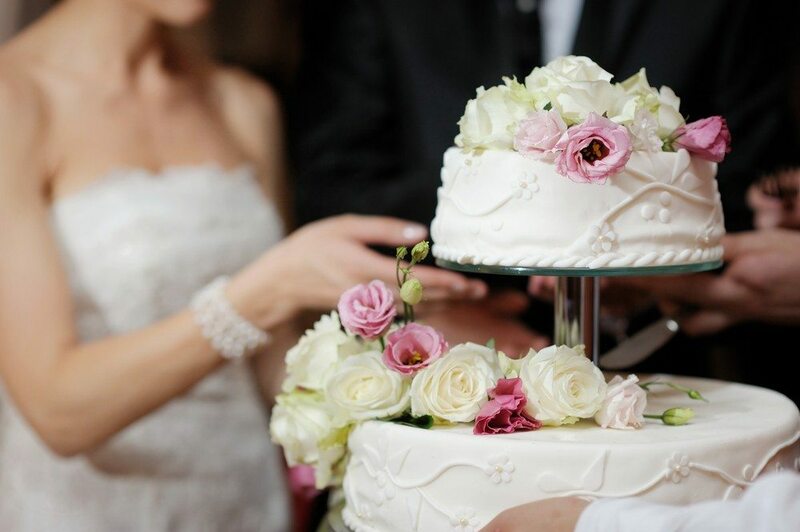 As announced when News Corp. and Move announced the merger in September, REA Group Limited, operator of the leading real estate portal in Australia, realestate.com.au, is set to take a 20 percent stake in Move. News Corp., which has a 61.6 percent stake in REA Group Limited, expects that portion of the deal to happen on Monday. The completion of the acquisition ends Move’s 15-year run as a public company. It went public as Homestore in 1999. As of today, its shares will no longer be publicly traded on the NASDAQ stock exchange. Last week Move entered into a memorandum of understanding that’s a step toward settling a lawsuit alleging Move directors breached their fiduciary duties and sold the company too cheaply. The lawsuit, filed Oct. 24 in Santa Clara County, California, Superior Court, sought class-action status to represent all Move stockholders. “Payments made in connection with the settlement, which are subject to court approval, are not expected to be material,” Move said in a regulatory filing. In another SEC filing, Move described the final efforts by its board of directors to attract offers from other potential suitors. None of the three potential buyers contacted by Morgan Stanley “expressed an interest in entering into discussions with us regarding a possible strategic transaction,” Move said. Both Zillow and Trulia are said to have explored the possibility of acquiring Move. Editor’s note: An earlier version of this story incorrectly stated News Corp.’s valuation as $74 billion.